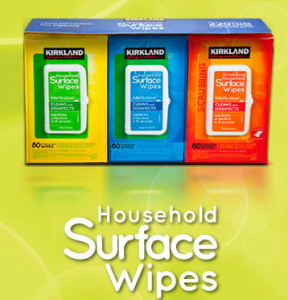 Go here to request a free sample of Kirkland Household Surface Wipes! You do not need to be a Costco member for this freebie. 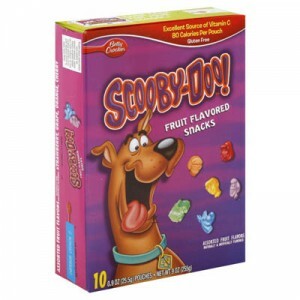 Safeway: Free Betty Crocker Fruit Snacks! This deal is back again! Starting this Wednesday, Safeway will have Betty Crocker Fruit Snacks on sale .99 wyb 4 and there is a catalina on them! Get a $2 catalina for your next purchase! Do this transaction again and again and again, using your catalina from the previous purchase to score free fruit snacks all week! Remember, this takes into consideration that my Safeway doubles coupons up to $0.99! Call your Safeway or affiliate to see their policy. https://i0.wp.com/savvywifehappylife.com/wp-content/uploads/2011/02/betty-crocker-fruit-snacks.jpg?fit=300%2C300&ssl=1 300 300 Brandi https://savvywifehappylife.com/wp-content/uploads/2016/09/SavvyWifeHappyLife-logo-2.png Brandi2011-02-28 20:21:182011-02-28 20:23:54Safeway: Free Betty Crocker Fruit Snacks! Swagbucks Code Worth 14 Swagbucks! Log into your Swagbucks account and type in code ItsMyBirthday for 14 Swagbucks! Hurry, this code ends soon! If you are new to Swagbucks, read my post here! https://i1.wp.com/savvywifehappylife.com/wp-content/uploads/2011/02/swagbucks1.jpg?fit=313%2C53&ssl=1 53 313 Brandi https://savvywifehappylife.com/wp-content/uploads/2016/09/SavvyWifeHappyLife-logo-2.png Brandi2011-02-28 15:56:202011-03-01 15:03:28Swagbucks Code Worth 14 Swagbucks! While I was printing out the new coupons a few hours ago, I came across a few new Kashi coupons. Print these soon in case they disappear! 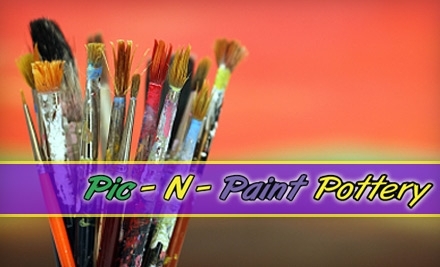 Groupon: $12 for $25 Worth of Pic-N-Paint Pottery in Pasadena! Sign in to your Groupon Account (or sign up if you don’t have one). Buy this certificate for just $12, and then print it right away! Take the certificate to Pic-N-Paint Pottery within a year to get $25 worth of painted pottery for only $12! If you’ve never been to Pic-N-Paint, I’d recommend taking your kids there. They’ll have so much fun picking out pottery, painting it, and then seeing their finished masterpiece! Limit 2 per person, but you can buy extra as gifts! Wouldn’t this be a great, usable, resourceful gift for an upcoming birthday party?! This deal can only be bought today, so don’t wait! https://i1.wp.com/savvywifehappylife.com/wp-content/uploads/2011/02/Pic-N-Paint-Pottery.jpg?fit=440%2C267&ssl=1 267 440 Brandi https://savvywifehappylife.com/wp-content/uploads/2016/09/SavvyWifeHappyLife-logo-2.png Brandi2011-02-28 12:52:232011-02-28 12:52:23Groupon: $12 for $25 Worth of Pic-N-Paint Pottery in Pasadena! Today is the Day to Sign up for Swagbucks! Free Gift Cards! 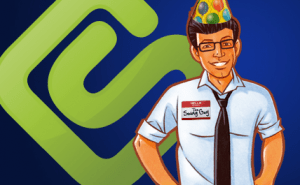 Swagbucks is celebrating their 3rd birthday today and is releasing tons of ways to get Swagbucks. If you like getting free Amazon gift cards then I would highly recommended signing up TODAY! To help celebrate, Swagbucks is offering a special 50 swagbucks bonus code when you sign up TODAY. Sign up for Swagbucks here and you will get 30 swagbucks for registering. Then, log into the Swagbucks home page and go to the right hand side where it says “Enter Your Swagcode”. Enter code BirthdaySaving and click “Gimme”. You should now have 80 swagbucks to start and it only takes 450 swagbucks to get your first gift card! If you’ve never heard of Swagbucks or have been on the fence about signing up, today is the day! All you need to do is spend a few minutes everyday using Swagbucks to do searches, polls, surveys, etc. and you will have Amazon gift cards in no time! https://i1.wp.com/savvywifehappylife.com/wp-content/uploads/2011/02/swagbucks-300x185.png?fit=300%2C185&ssl=1 185 300 Brandi https://savvywifehappylife.com/wp-content/uploads/2016/09/SavvyWifeHappyLife-logo-2.png Brandi2011-02-28 12:33:292011-02-28 12:33:29Today is the Day to Sign up for Swagbucks! Free Gift Cards! Recycle Bank: Earthbound Farms Coupon = Free Produce! Recycle Bank has a great deal today on this coupon for only 10 points each! And on the right hand side of the home page you can play the Naked Juice game and get 10 points Free right away. 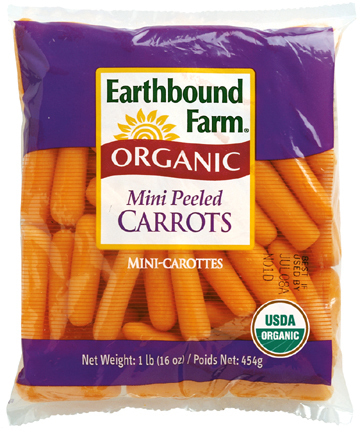 $2/2 Earthbound Farms product coupon = Small bags of carrots and maybe some other produce runs about $1 at Grocery stores and Walmart, so 2 free after the coupon! Sign up for Recycle Bank here if you aren’t a member yet! https://i1.wp.com/savvywifehappylife.com/wp-content/uploads/2011/02/Earthbound.jpg?fit=360%2C433&ssl=1 433 360 Brandi https://savvywifehappylife.com/wp-content/uploads/2016/09/SavvyWifeHappyLife-logo-2.png Brandi2011-02-28 10:37:152011-02-28 10:37:15Recycle Bank: Earthbound Farms Coupon = Free Produce! 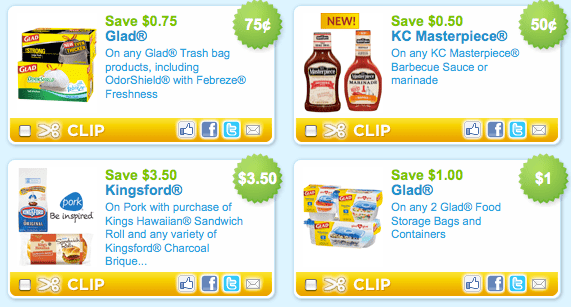 Coupons.com released some new coupons this morning. Print them out if you’re interested! Don’t forget to print the $1/2 Butterfinger Snackerz to snag them FREE at Rite Aid this week! https://i0.wp.com/savvywifehappylife.com/wp-content/uploads/2011/02/coupons-dot-com.png?fit=571%2C307&ssl=1 307 571 Brandi https://savvywifehappylife.com/wp-content/uploads/2016/09/SavvyWifeHappyLife-logo-2.png Brandi2011-02-28 10:30:282011-02-28 10:30:28Lots of New Coupons! 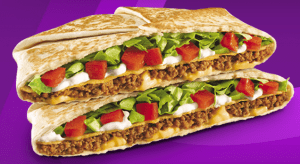 Through March 5th, Taco Bell is offering up Crunchwrap Supremes for just $0.88! No coupon needed! 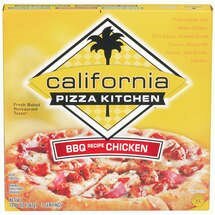 Safeway: California Pizza Kitchen Pizzas only $0.83 Each! Final cost = $0.83 each! https://i0.wp.com/savvywifehappylife.com/wp-content/uploads/2011/02/california-pizza-kitchen.jpg?fit=215%2C215&ssl=1 215 215 Brandi https://savvywifehappylife.com/wp-content/uploads/2016/09/SavvyWifeHappyLife-logo-2.png Brandi2011-02-28 00:32:532011-02-28 00:32:53Safeway: California Pizza Kitchen Pizzas only $0.83 Each!